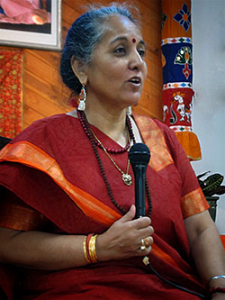 Komilla Sutton is the co-founder and chair of the British Association for Vedic Astrology. She is on the faculty of the American College of Vedic Astrology. Komila is a council member of the Astrological Association of Great Britain. As an internationally renowned consultant, Komilla is also a teacher and lecturer. Indian born, Komilla Sutton is one of the pioneers in creating opportunities for Vedic Astrology to be more accessible for Western readers. Komilla is the author of the following books: The Nakshatras – The Stars Beyond the Zodiac, The Essentials of Vedic Astrology, Lunar Nodes – Crisis and Redemption, Personal Panchanga and the Five Sources of Light, Vedic Love Signs and Indian Astrology.